Times are changing. Digital transformation initiatives offer us new business opportunities and pose critical questions to existing business models. This is of great impact on people, business and even on society. In about 100 years’ time we will probably speak of a digital revolution. We are living it right now and no-one has the monopoly on wisdom. The best and only tool is still our common sense. Occasionally, it is good to take a step back and reflect on whether the route you are following, is indeed the route to take you to the desired destination. Terms such as user-centered customer-journey design, advanced data analytics and rapid prototyping & agile development all suggest a customer-first strategy in which flexibility is key. We cannot afford to continue setting our solutions in stone anymore. This leads us to major changes in the way we collaborate and how information is accessed. After all, we have all got a mixture of employees, partners, guests, customers and / or suppliers who all have roles in our processes and who therefore need to access company information. Our way of collaborating shifts to become increasingly more organic, which introduces new risks. Our traditional castle walls in defending the information are therefore no longer sufficient. The new question rises in how to balance “business needs” and the use of continuously innovating ICT solutions, while preventing damage to the business value and meeting the requirements of (international) laws and regulations. For example, the new "General Data Protection Regulation" affects almost all of us, and is inspired by the required reporting on data loss of privacy information. And especially the increase in cybercrime such as ransomware (extortion by encryption of data), is a high risk to your security today. More sector specific, the new PSD2 directive provides better protection to consumers in online payments, but also encourages development and use of innovative online and mobile payments. To provide the right access to the right information in a controlled manner, we have to take the entire chain into account. For this, Grabowsky uses the term "Identity Driven Security"; the Identity drives the security measures. In this age of digital transformation, success is not to be found in IT alone anymore, but requires a shared and common vision between Business, Security and IT. Therefore, we use the question of “why” as a compass for long-term success, following the strategy of your organisation. 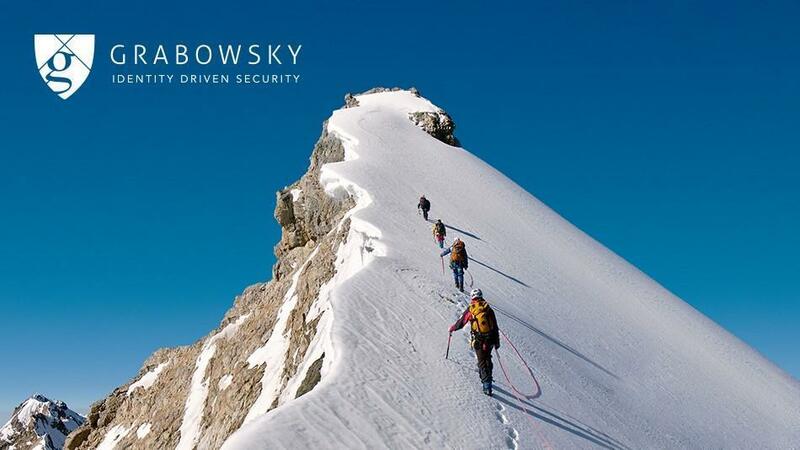 Grabowsky would be pleased to guide you to success in this journey.